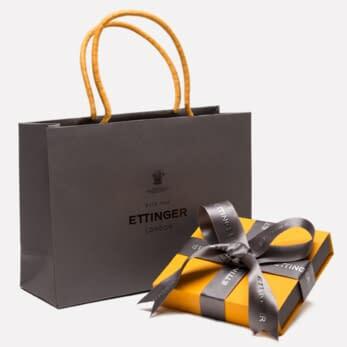 Ettinger takes great care to block initials by hand, with each custom letter set adjusted individually to ensure the spacing achieves just the right balance and the emboss remains very crisp and delicate. This is done by a specialist craftsperson in our factory and so can take up to 1 week for delivery. 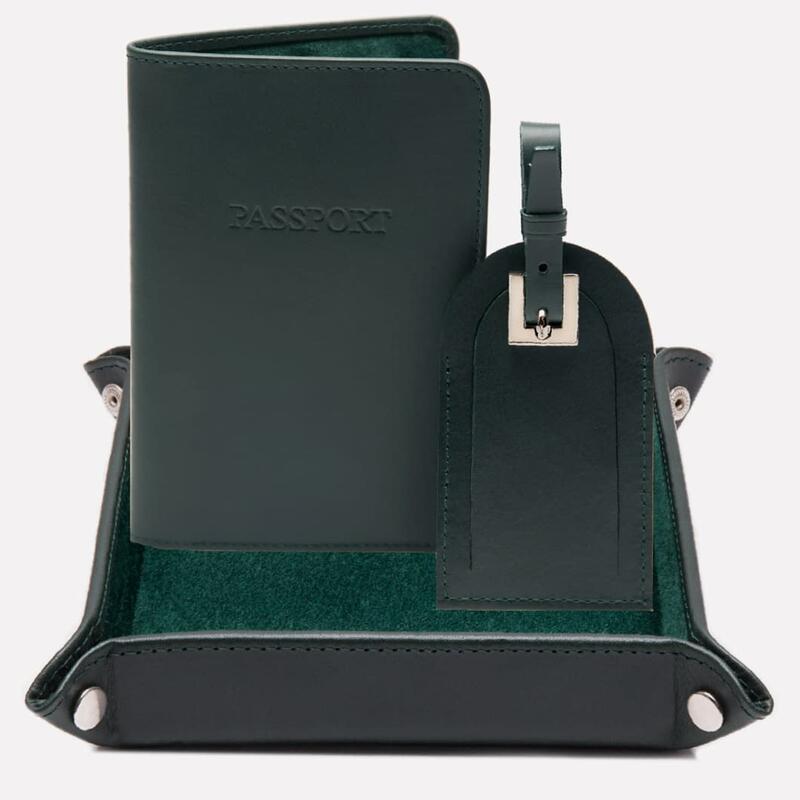 We will get in touch to confirm the timing but should you require any other assistance, please call us on +44 20 8877 1616 or email us. 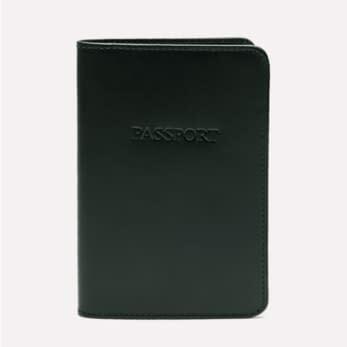 Initials are normally placed in the bottom right-hand corner of the wallet exterior. 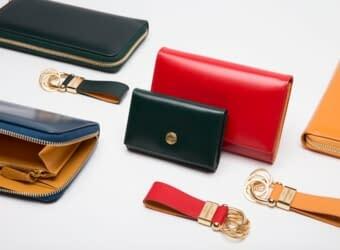 For other items and special requests, please contact us. Sorry! 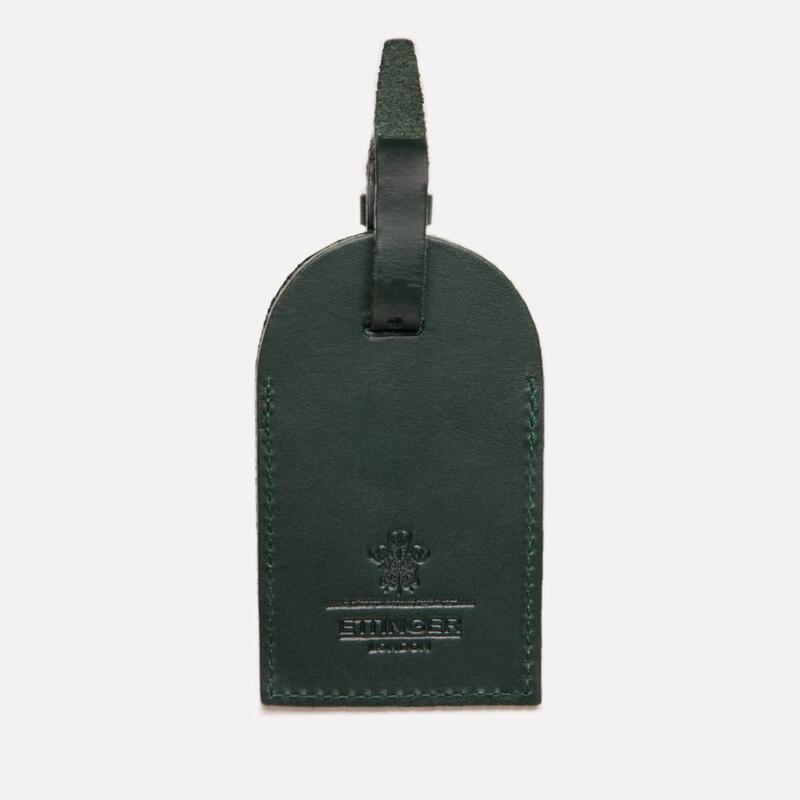 We currently dont have any available stock for this product! The perfect gift for the person always on the road. 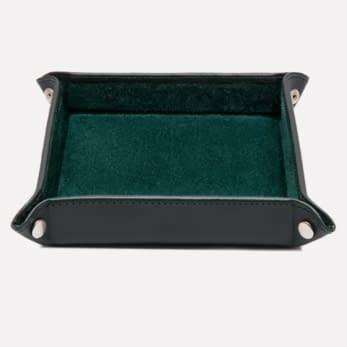 The British racing green gift set includes a leather travel tray to keep your jewellery, change, keys, cufflinks and other trinkets in one place when you are staying in a hotel. 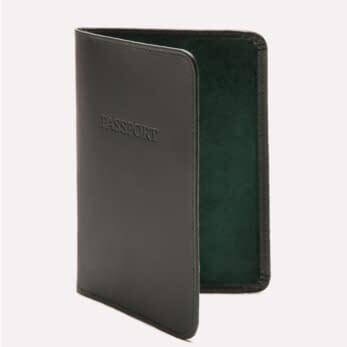 The Passport Case, featuring a window pocket on the left-hand side is perfect for covering your passport and the luggage tag with a security flap keeps your luggage recognisable. 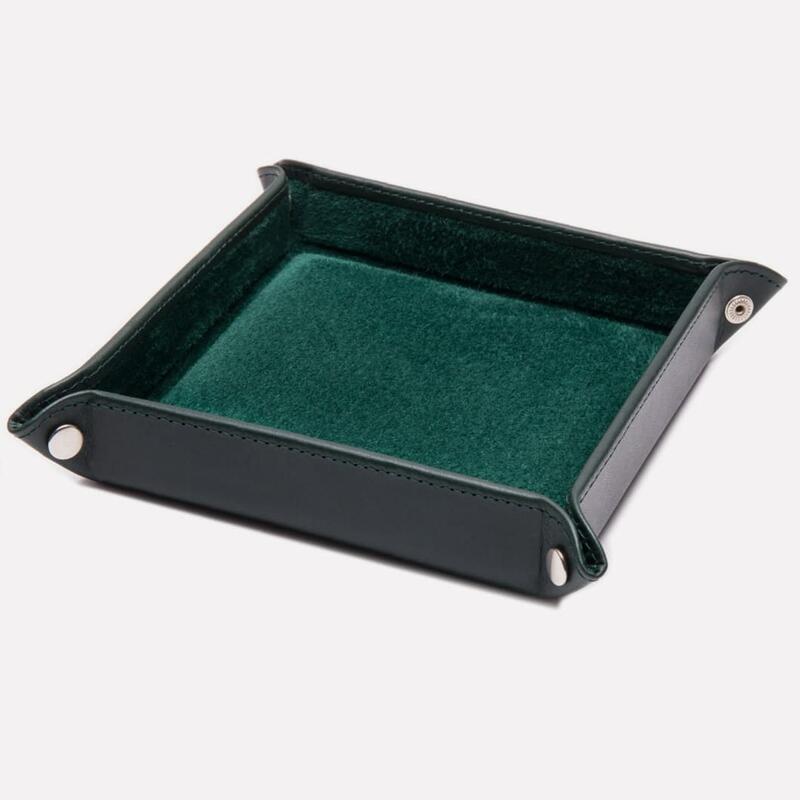 Also called a waxy hide, this full grain leather is made with vegetable tanned yearling hides followed by an aniline treatment. 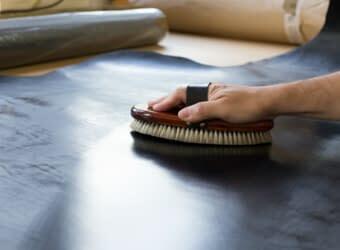 It is then hand-finished with many layers of waxes and oils to give it a deep, rich aspect and the natural tones have a slightly smoky aspect, giving this leather its name. Pig suede has a silky touch and is instantly recognisable thanks to the little dots caused by the pig’s follicles. 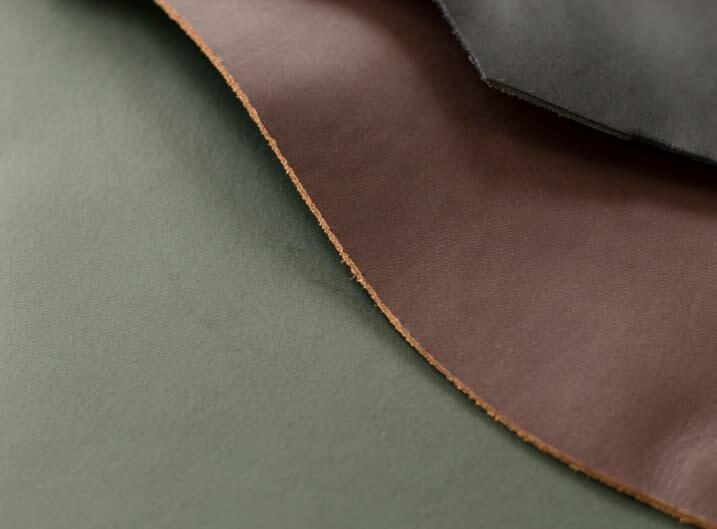 Pig skin is naturally thin and supple but this is enhanced further by several mechanical processes to massage and soften up the leather, once the skins have been chrome tanned and dyed through. 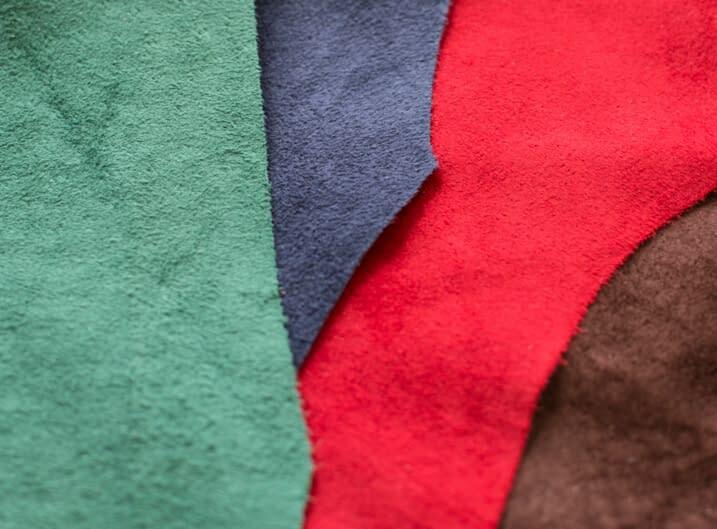 Suede is in fact the flesh side of the skin, which has been finely trimmed and brushed. 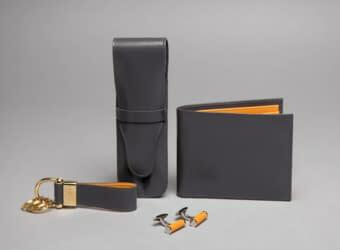 It is a beautiful leather for lining fine leather accessories and bags. 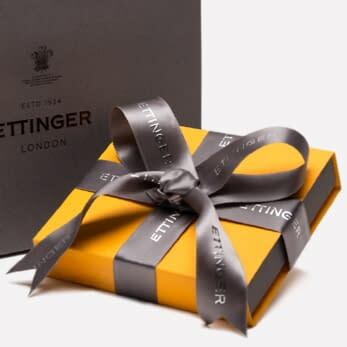 Gain privileged access to the Ettinger world, special extras, previews and invitations. 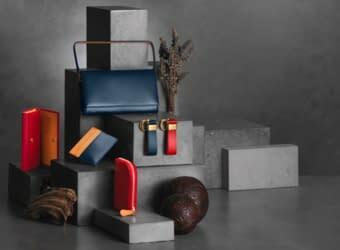 Subscribe to our newsletter and be the first to know about our new product launches, gift guides, style tips & inspirations, events and competitions. An error occurred, please check that all required fields have been completed.